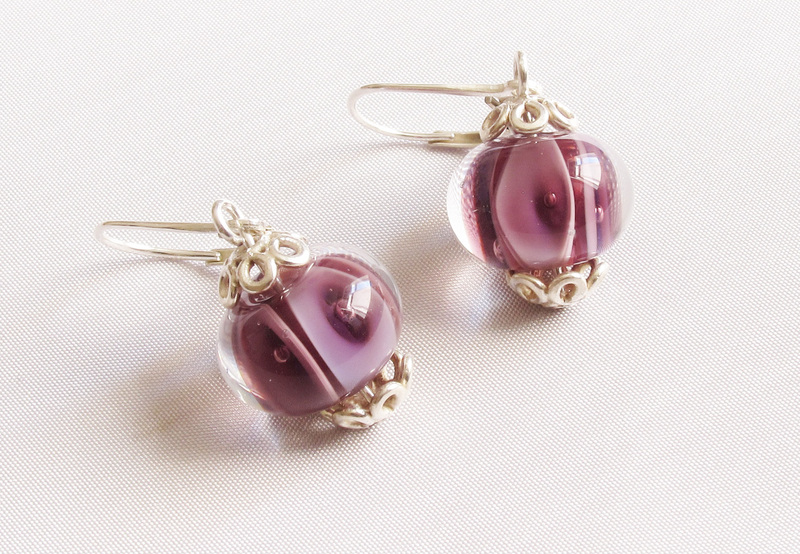 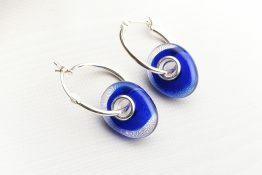 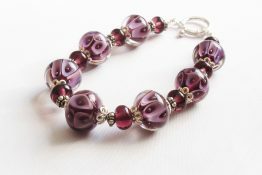 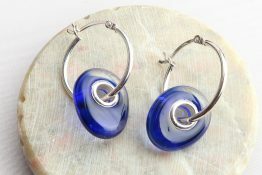 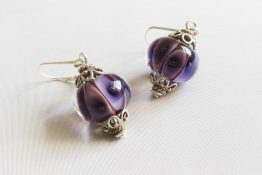 Subtle layers of lavender and purple with a crystal overlay in these delicate glass bead earrings. 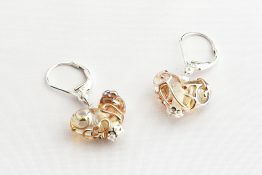 A hinged closure helps protect against loss and makes these easy to put on. 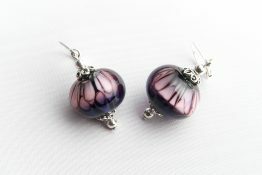 Also available in sea green or ink blue, just ask at checkout.